The bizarre rubber duck-shaped nucleus of Comet 67P/Churyumov-Gerasimenko (67P) is “bi-lobed,” meaning it has two larger parts connected by a thinner neck. 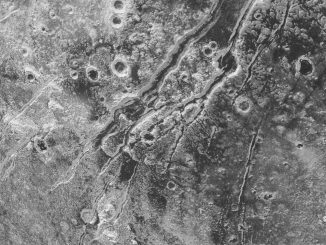 Image credit: European Space Agency. For some comets, breaking up is not that hard to do. A new study led by Purdue University and the University of Colorado Boulder indicates the bodies of some periodic comets — objects that orbit the Sun in less than 200 years — may regularly split in two, then reunite down the road. In fact, this may be a repeating process fundamental to comet evolution, according to the study just published in Nature. The team, led by Purdue postdoctoral fellow Masatoshi Hirabayashi and CU-Boulder Distinguished Professor Daniel Scheeres, studied several comets, primarily a bizarre rubber duck-shaped object known as 67P/Churyumov-Gerasimenko (67P). Images of 67P show two cracks, each longer than an American football field, on the comet’s neck that connects its two larger lobes. In order to reconstruct the past life of 67P, the team used numerical models in which the spin rate was cranked up from its roughly one rotation every 12 hours today to one rotation every 7 to 9 hours. The models showed the faster spin would lead to more stress and the formation of two similar cracks on the neck of 67P in the same location. Often referred to as “dirty snowballs,” comets are made of ice, rocks and dust. Comet 67P is “bi-lobed” meaning it has two larger parts connected by a thinner neck. Scheeres said there are several factors that can cause comet nuclei to spin faster. During flybys of the Sun or Jupiter, for example, periodic comets like 67P can get torqued by gravity, causing them to either spin up or spin down. The spin also can be affected by periodic comet “outgassing,” when icy compounds like carbon dioxide and ammonia shift directly from a frozen state to gaseous state and blow off the surface. 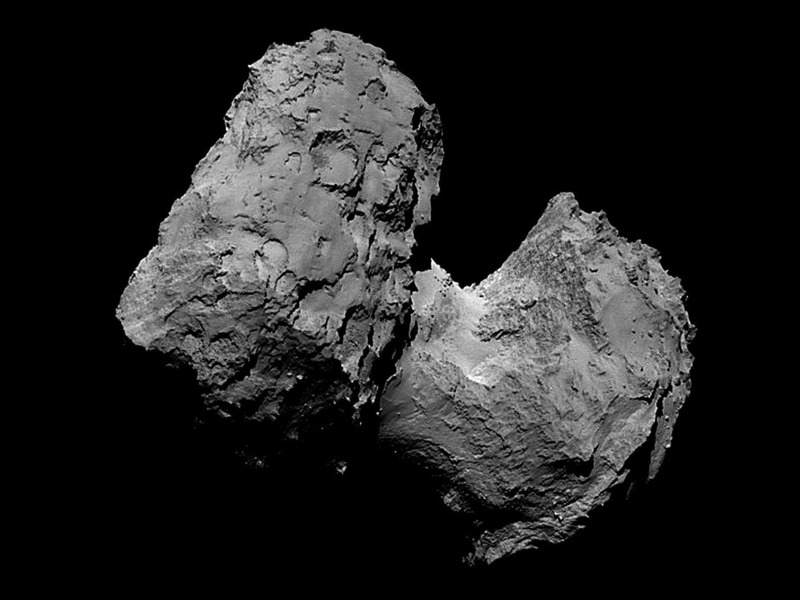 The models run by the team showed that if 67P’s spin is increased to less than seven hours per rotation, the head will pop off, said Scheeres. So what happens then? 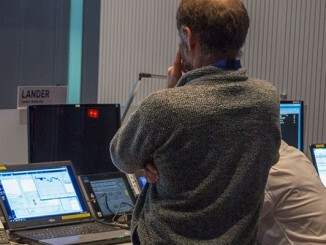 This pattern could go on for the life of the comet, said Scheeres. Bi-lobed comets may turn out to be fairly common. Of the seven comets that have been imaged in high resolution by astronomers, five of those — including P67 and Comet Halley — are bi-lobed, said Scheeres. Studies of the bi-lobed comets by the team indicate they all are similar in their volume ratios between each lobe, meaning they probably go through the same break-up/make-up cycles as 67P. Discovered in 1969 and visited by the European Space Agency’s Rosetta spacecraft in 2014, 67P is roughly 2.5 miles on a side and orbits the Sun every 6.5 years. The team showed that the comet’s spin rate can change chaotically, driven by outgassing events and its changing orbit due to flybys of Jupiter. To show how this comet-Sun interaction affected the past evolution of 67P’s spin period, the researchers numerically modelled 1,000 comet “clones” of 67P under varying conditions going back 5,000 years. Five thousand years was selected because it is the approximate lifetime of a “Jupiter family comet” like 67P, said Scheeres. Periodic comets like 67P are thought to originate in the Kuiper Belt, a vast region beyond Neptune’s orbit harbouring billions of comets and icy moons. The team hypothesised that the repeated break-up and make-up of bi-lobed comets may have caused them to erode too much to have survived their journeys into the inner solar system 4 billion years ago when it was a shooting gallery of asteroids, moons and protoplanets. 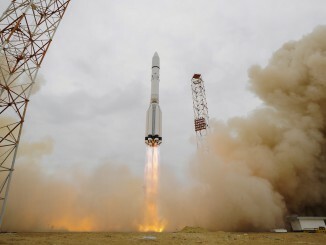 A powerful Proton booster launched at 0931:42 GMT Monday with the first part of a multibillion-dollar Mars mission led by the European Space Agency. The Mars orbiter and lander will search for signs of methane on the red planet, and demonstrate technologies to be used on a future European Mars rover. Europe’s Philae lander transmitted all its stored science data from the surface of comet 67P/Churyumov–Gerasimenko before falling silent as battery power failed.